Fitness trackers are perhaps one of the biggest things in wearable devices right now, and with good reason. People like having a better idea of how a workout is proceeding, and how that workout fits into the context of other recently-completed workouts. Tracking progress—indeed, tracking the development of fitness—is valuable a valuable feature. 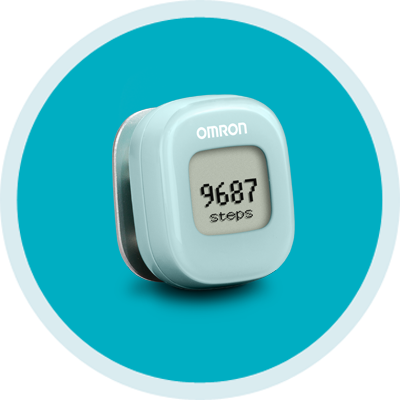 Joining the fray is Omron Healthcare's entry: the Alvita Wireless Activity Tracker. The Alvita is designed to work in conjunction with other devices, allowing users to wirelessly send data to a smartphone thanks to the Omron Fitness app. It works with a wide array of devices, including the iPhone 4S and up, the iPad 3 and up, the Samsung Galaxy S III or better, or anything running at least Android 4.3 or iOS 7. With those platforms, the Alvita can track several different metrics, ranging from steps taken to aerobic steps taken—which is actually a fine difference, said to be the key between a normal step and a step that requires deeper and more rapid breathing—as well as other metrics like distance and total calories burned. While this might sound cumbersome, the Alvita's reliance on other gadgets allows it to have an extremely slim profile. The Alvita itself reportedly measures under one square inch, and comes with an optional detachable clip, making it quite easy to wear around. Some might think that the wide array of options in terms of how to wear the device might ensure that the device is worn in a less-than-optimal fashion, but the Alvita uses what's known as Tri-Axis technology, helping to make sure that measurements are as accurate as can be, whether the device is out in the open or in a purse or pocket. Those interested can get the device from several locations for a suggested retail price of $59.99, making it one of the better-priced options out there. Though the Altiva doesn't seem to have a lot of functions that would really distinguish it from a huge array of competitors in the field, it does seem to have some great aspects working in its favor. Its small size makes it incredibly portable and versatile, and that makes it in turn much more likely that the device will actually be put to work. A fitness tracker does little good unless it's used, and a device that small should be useful most anywhere, including places where some larger fitness trackers might not be so readily used like in stores or at malls. It certainly covers the waterfront in terms of possible uses, even if it doesn't go as far as some—the Misfit Shine, for example, includes sleep tracking functions—would go in tracking the elements of fitness. So while the Alvita Wireless Activity Tracker may not go as far as some, it's likely to go as far as some will want. Throw in a low price to get in on the action and the concept suddenly makes that much more sense.